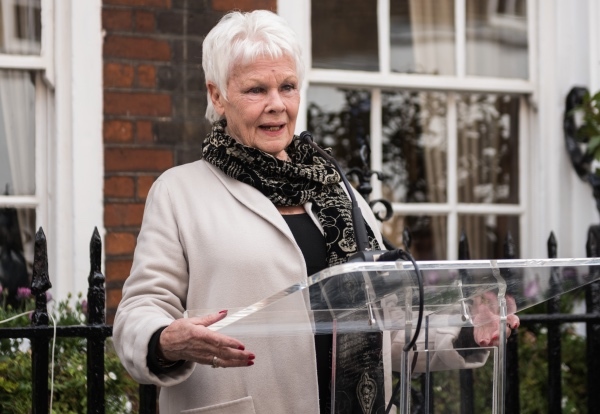 Dame Judi Dench has called for the public to nominate “women you admire” for more English Heritage blue plaques in London. Dame Judi (here pictured at the 2017 unveiling of a blue plaque commemorating actor Sir John Gielgud) call comes after news that women make up just 14 per cent of the more than 900 blue plaques in London. “So far the scheme honours some brilliant women; Florence Nightingale, Ava Gardner and the Pankhursts, but there are many, many more unsung female heroes who deserve recognition,” Dame Judi said. “So nominate the women you admire, the women who did great and remarkable things throughout history, and the women who did not go quietly. 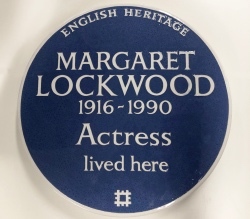 English Heritage needs your help.” The most recent woman to appear on a blue plaque is actor Margaret Lockwood. A popular actor in the 1930s and 1940s, Lockwood (1916-1990) was the star of Alfred Hitchcock’s The Lady Vanishes (1938) and lived at 14 Highland Road in Upper Norwood after moving to London as a child in the 1920s. To make your nomination, head to www.english-heritage.org.uk/visit/blue-plaques/. PICTURES: English Heritage.